Security comes from a combination of media features, printer capability, database verification, and special security (e.g., unusual, covert and forensic features). Media features include surface quality, durability and built-in security elements. Card softwares such as PESONA provides the means to design your security cards and add special security features are only shared with customers in order to protect their covert qualities. Printer capability encompasses high-resolution graphics and reliable barcodes plus covert features printed at the time of issue. Database verification consists of a central archive of cardholder data, including a photo, personal statistics, employee number, date, time and place of issue. Special security features are only shared with customers in order to protect their covert qualities. First and most important, the card itself has to be tough. 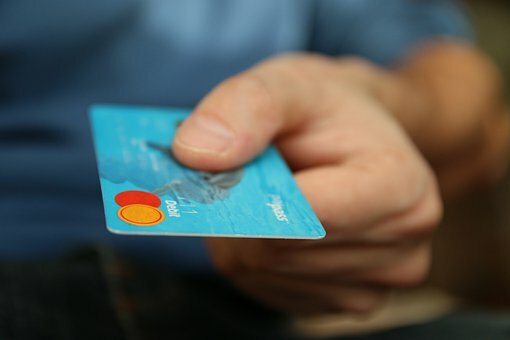 In this security-conscious age, governments and other large organizations insist on custom-designed card media of ever-increasing sophistication. This is for two main reasons. First, multiple security features create greater counterfeiting difficulties. Second, guards can quickly and easily validate unique features known only to the organization?s security force. Your card media should offer an array of security features, any or all of which may be incorporated into custom designs. Today?s cards must be extremely durable. 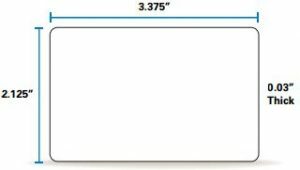 For example, your card stock should be ten times the flex life of regular PVC cards. It should meet or exceed all international standards for resistance to cracking, permanent adhesion of over-laminate, and durability of image. 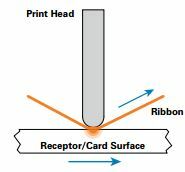 The lanyard slot in a regular PVC card is often fragile. If the slot tears, an unauthorized user needs only to change the photo to go past a careless inspector. 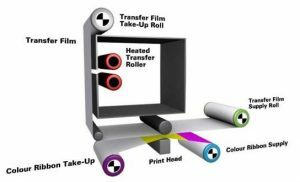 To increase durability, higher capability printers feature fully integrated hot roll laminating stations that apply 0.6 or 1.0 mil laminate patch materials, with or without holograms. Cards with laminates will provide up to seven years of wear. Such lamination is especially recommended for abrasion-intensive applications such as frequent barcode or magnetic stripe reading. Depending on volume and how quickly one needs to print cards, there are printers that laminate one side or both sides at once. To prevent counterfeiting, alteration or duplication, there are many techniques that companies can use with digital printers. First of all, they can position multiple security images or holograms. The holographic image lamination process also provides a very rich looking card. Multiple screenings of the same photograph increase integrity. With micro-printing, text can be added to a user?s specifications, with deliberate random font changes and misspellings if desired. Character height is five thousandths of an inch (0.125 mm). Pre-printed serial numbers can also be incorporated into card stock. Laser etching is another option. Fine-line Guilloche patterns with hidden micro-text are aimed at foiling counterfeiters, and micro-printing of text and miniature graphic elements are also difficult to duplicate. An over-laminate film adds security to the printed ID card. The inner surface of the laminate can be preprinted with OVI ink or UV-visible ink in one, two or three colors. In addition, today?s high tech printers can also laminate with , including embossed micro-text. Applications for such security-enhanced cards include driver?s licenses; national health, social security and voter registration programs; law enforcement and government agency personnel. 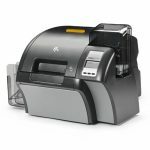 Compact and easy to use, the affordable ZXP Series 3 direct-to-card printer is the best choice for applications where small space, minimal operator training and print quality are important. 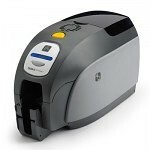 Before investing in a card printer system,? Most plastic cards found in wallets and purses have the same physical dimensions. This is the standard CR-80 card, measuring about 3.375? x 2.125? (85.5 mm x 54 mm). The standard thickness is 30 mil (0.75 mm), but can range from 10 to 60 mil. Card printers come with a variety of card printing speeds depending on whether you need to print both sides or just one side of the card. In general, the faster the cards are printed, the more expensive the printer. The needs of the printer speed will be determined by the application (e.g., on-premise/ on-demand printing, mass duplication printing (same card design printed multiple times) or one-offs). 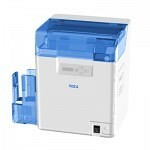 If you are limited on work space, you will want a printer with a small footprint. If other work must be accomplished while the printer is printing, you will also want to make sure you purchase a printer that is relatively quiet. 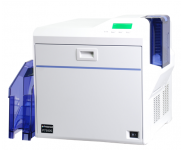 While the size and loudness of a printer may not be a concern in a factory, it might be important in an application such as a small office, retail store or cruise ship. 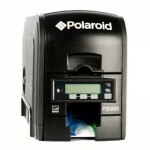 A card printer should be easy to use right out of the box, especially if the user is not familiar with card printers. Thermal, dye sublimation, mass transfer printing, or direct-to-card (DTC) or retransfer printing. Plastic cards used to gain access to premises, usually associated with magnetic stripe and proximity cards. An array of machine-readable rectangular bars and spaces arranged in a specific way defined in international standards to represent letters, numbers, and other human-readable symbols.